In most developing countries, food-borne diseases are a major cause of sickness and death. Whilst many countries acknowledge food safety is a major problem, there is little up-to-date, comprehensive information on food safety issues at national level. 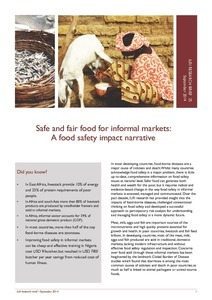 Safer food can generate both health and wealth for the poor, but it requires radical and evidence-based change in the way food safety in informal markets is assessed, managed and communicated. 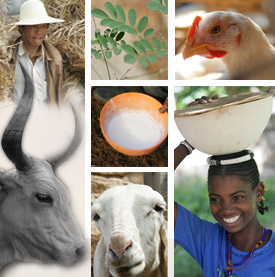 Over the past decade, ILRI research has provided insight into the impacts of food-borne diseases, challenged conventional thinking on food safety and developed a successful approach to participatory risk analysis for understanding and managing food safety in a more dynamic future.